A couple of days ago, we took a journey to the Light and examined options to ladder with the least popular class in the game, Priest. This time, it is time to look at the second-least popular class, Paladin. I ventured into this quest full of optimism and hope. After all, it turned out that Priest actually has a bunch of somewhat viable decks, even though none of them are popular. After several days of playing Paladin – and having new people tune in on Twitch just to ask why am I playing Paladin – my feelings are much more conflicted. Paladin has some sweet cards. Hey, it actually got one of the better Legendary spells in Boomsday with Kangor's Endless Army. However, Paladin cards have not been combined into decks that would show consistent results over hundreds of games. It is actually difficult to find Paladin lists that are not Odd Paladins! Scouring through our own database (shoutout to the Prismatic Lens + King Togwaggle mill hopefuls! ), Twitter, Reddit, HSReplay, Vicious Syndicate, all the usual suspects, it just seems that people are not playing a lot of Paladin right now. A deeper look into deck win rates reveals an even bleaker picture: the decks that seemingly win some games, mostly do so between ranks 10 and 25. Getting closer to Rank 5? Just watch that win rate graph plummet. The weak position Paladin is in has been concealed by Odd Paladin – still not a popular choice, but nonetheless a powerful and well-tuned deck that can take on many of the meta decks and even dominate in the right meta pockets. That said, there are several Paladin archetypes that show some promise. The lists generally miss just a bit of something and have the potential to turn out fine with just the right combination of cards. It is still possible that Paladin can rise during Boomsday, and I’m here to show you all the best the class can offer at this point. I hope you can use these shells to build upon with your own additions, modifications, and tech choices, and hopefully make Paladin great again. Let’s get the obvious one out of the way first: Odd Paladin is still a premium aggro deck. Vardu piloted this list to a #9 Legend finish in August, so that’s some proven results. The archetype is also brought to tournaments on regular basis with known players such as Amnesiac bringing it to HCT Americas Fall Playoffs this weekend. We have all the details on how to play this popular archetype in our Odd Paladin Deck List Guide. Even Paladin used to be a thing in The Witchwood, and the archetype still has potential. One-mana 1/1s are powerful, and most of the good Paladin cards cost an even amount of mana anyway. It is just the right mix that has proven to be elusive so far in Boomsday. 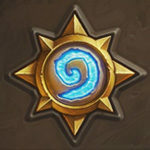 Looking at overall ladder meta statistics, Even Paladin is one of the most misleading archetypes. Right now on HSReplay, it shows an admirable win rate of more than 54% across the entire ladder. However, looking up to Rank 10, this already drops to 51% and the fall continues the further up the ladder you look. When facing powerful meta decks, most of the popular Even Paladin lists crumble under pressure. There are some exceptions. Hypno’s list from late August remains the best-performing Even Paladin list right now in Legend and also one of the few Even Paladin lists that does not suffer a sharp drop in performance as you climb the ranks. It has the good old Val'anyr for near-infinite value and goes for some sweet Lifestealing plays with the synergy package of Corpsetakers for defense, The Glass Knight as an annoying threat, and Crystalsmith Kangor (it’s a new card!) to provide those Corpsetakers some buffs as well as help heal up when needed. It lies on the more midrange end of Even Paladin lists historically as it has both The Lich King and Tirion Fordring for top end. There are still numerous questions about this list. Double Acidic Swamp Ooze? One Spellbreaker and one Avenging Wrath? No Mossy Horror? Getting the tech choices just right is not a small task, but this deck nailed it a few weeks ago and remains a solid shell to build upon. Legend-level deck with The Voraxx? Where do I sign up? I tested the deck and it is indeed promising. No weapon removal can be awkward and I’m not fully sold on Potion of Heroism, but there is a Mossy Horror, so you can have the necessary confidence when facing Giggling Inventor and Spreading Plague. There is also a very real chance for your opponent to run out of Silences before you run out of must-silence threats, so this deck definitely offers some options for that midrange pressure style that Paladin used to be known for. Control Paladin is not very popular right now, but what little experimentation is going on is focused on the OTK builds. It is ironic, really, because OTK Paladin is the slowest combo deck in Hearthstone. Setting up the OTK is a tedious drag of first finding and playing Uther of the Ebon Blade and then rolling those Hero Powers and returning Horsemen to your hand with Youthful Brewmaster or Ancient Brewmaster and Zola the Gorgon until you have three different Horsemen in your hand. Then you can finally play them all and roll Hero Power one more time for a guaranteed fourth Horseman and the win. The setup takes a minimum of four turns (Uther + roll + roll + roll), and that is if you manage to roll a different Horseman every time and find all of your bounce effects in time as well. If you roll duplicates, you need to try again next turn. Some builds use Blackwald Pixie for some surprise Horseman rolls, especially if they happen to get one (if they have one Horseman in hand) or two (if they have no Horsemen in hand) to stick at some point, but it is generally not very consistent and cannot be used in the full OTK from an empty board without a Coin. Cheese’s build from Americas Fall Playoffs also adds Lynessa Sunsorrow for some classic Control Paladin moments from an era when Lynessa Sunsorrow + Zola the Gorgon could create two gigantic threats in the late game. I also tried some pure old-fashioned Lynessa lists, but they were not competitive in the current meta. The OTK build can compete to an extent. Control Paladin has always been a good anti-aggro deck, it has just had a hard time trying to beat other slower decks. Even though it holds the world record for the slowest setup for an OTK, it is still an OTK and can potentially punish decks such as Odd Warrior. There are many approaches to card draw for OTK Paladin, mostly because most of them are not so obviously great that they would be staples. Cheese’s build goes for Crystology and Potion of Heroism whereas Maaronk42 relies on Prismatic Lens and Call to Arms. Both run Loot Hoarders. The Crystology approach can pick up a Stonehill Defender to play on curve and use Potion of Heroism for value trades, whereas Prismatic Lens can pick up Call to Arms to be played on curve for a major swing turn that also thins the deck nicely. Note that the Call to Arms version runs Ancient Brewmasters over Youthful Brewmasters to avoid getting them from Call to Arms. What works best depends on the meta you are facing. Once again, these decks lack statistics from hundreds of games. They have potential, and people have used them successfully over tens of games or more than a hundred games, but they have not had a breakout performance yet and it is possible that some further tweaks could still improve them. Kangor's Endless Army has a lot of potential and there have been various attempts to build a Mech Paladin around the card. It is a careful balance between including enough Mechs and enough Magnetic Mechs to be able to play them before the Army, but not including too weak Mechs so that your eventual resurrect will be powerful enough. I found most success with Paladin with this midrange build that uses Prince Keleseth to buff up the deck as well as Corpsetakers for the defensive healing effect while building up to some big Mechs and the eventual resurrect. The deck includes only three spells: Kangor's Endless Army, Dinosize, and a Prismatic Lens to tutor for those two powerful spells. It is also fully teched for the Giggling Inventor meta with Blood Knight and Mossy Horror. Hardly optimal, but goes to show that you can also explore other avenues with Paladin outside Consecration and Equality. An alternative path to building Mech Paladin would be to go for the full control route and use Kangor's Endless Army as the main win condition over Lynessa Sunsorrow or Uther of the Ebon Blade OTK. There have been various builds based on this idea, including a top-legend build we featured a few weeks ago when discussing control decks in Boomsday, but nothing of the sort has resurfaced in recent days. Nonetheless, that is another potential avenue to explore for Paladin. There have been other attempts to make Paladin work, but so far they have not been successful. The two most prominent potential routes other than the ones discussed above are Secret Paladin and Murloc Paladin. Unfortunately, neither archetype is even close to recovering what they have lost in Standard rotations and there are no established deck lists with demonstrated success with either. That’s more playable cards than most classes received! There’s card draw, there’s removal, and there’s an end-game value bomb in Kangor's Endless Army. The downside is that it’s all conditional, nothing is good all around. Crystology requires specific cards to draw, Prismatic Lens requires the right balance of spells and minions and their mana costs, Mechano-Egg is a lot of value but very low tempo, and Kangor's Endless Army requires the right composition of Mechs in the deck. This makes building decks for Paladin a challenge as there are so many conflicting needs you have to balance around, and ultimately it may prove to be too daunting of a task. That said, with the low amount of play Paladin sees right now, there is still potential to discover better combinations. I have attempted to present the best of the current state of Paladin in this article, and you may find success with any of the decks here right out of the box. However, all of them – with the sole exception of Odd Paladin, which may only need tuning for your meta – may still have better builds somewhere out there, undiscovered or not widely known. What about you? Have you found success with Paladin in The Boomsday Project meta? What kind of decks have you been trying out? Let me know in the comments! I’ve only seen the control list with both types of eggs and Kangor’s Endless Army. We featured it in a control decks article early in Boomsday, but it has not had lasting success. Perhaps it can rise again. I have been playing with even paladin and mech paladin and appreciate your article. Experimented with a kangor’s endless army, zilliax, war gear in odd paladin, but it wasn’t until i went to traditional odd paladin i got got to rank 5. Some cool cards that you left out that may have some synergy include Blackguard and Glowstone Technician. I only have one of each, and put them both into my even paladin… so not optimal, but Blackguard with the heal package is fun. And an even paladin running mostly minions should be able to benefit a lot from Glowstone Tech. It is unlikely for either of those cards to get a lasting spot in Paladin lists. Blackguard has been explored quite thoroughly and it simply is not strong enough. One of its major weaknesses is that after your hero is healed to full, it stops dealing any damage. Glowstone Technician comes too late and is so low tempo that it actively hinders the decks where it can do the most good, i.e. minion-heavy decks. It has not been tested as extensively as Blackguard, so there may be some uses for it, but I find that unlikely. Great article, I love it! About my list, I’ll address a some of your concerns here. Weapon removal is something I was running in this deck back in Witchwood but I don’t feel like it’s needed right now and it’s hard to find a spot for it, since the deck is pretty tight. 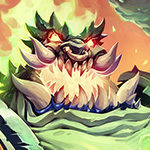 The only flex spots I feel are Spellbreaker, Mossy Horror and Skulking Geist and all of those feel more impactful right now than Acidic Swamp Ooze. As for Potion of Heroism, it’s the deck’s only source of card draw. I would classify the deck as midrange/control, so it’s good to have some card draw to find the right answers. Simply playing it on a dude on turn 3 threatens a big Blessing of Kings the next turn, which must be answered whether you have it or not. But the best use for Potion of Heroism is playing it on The Voraxx, where it gives two minions divine shield (one of them created on the spot) and draws you two cards, which is pretty amazing. You’ve built a nice deck! I need to try to hit The Voraxx more often with Potion of Heroism and see how it goes.